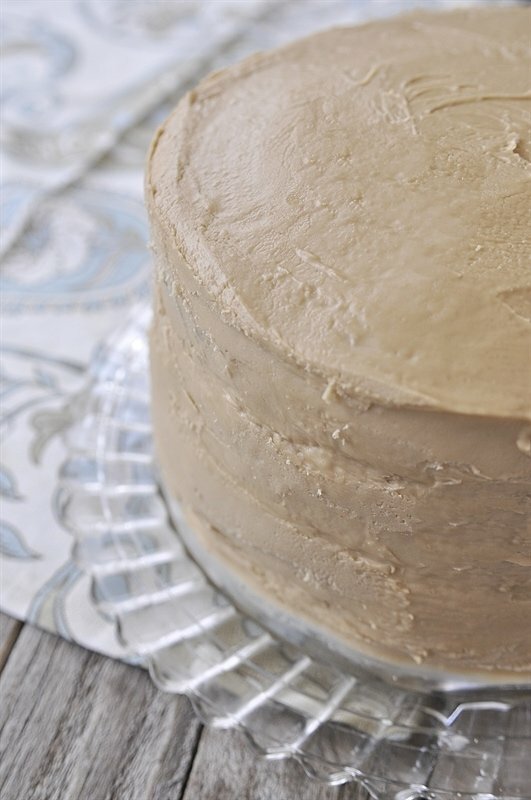 The secret to a good caramel cake is all in the frosting. 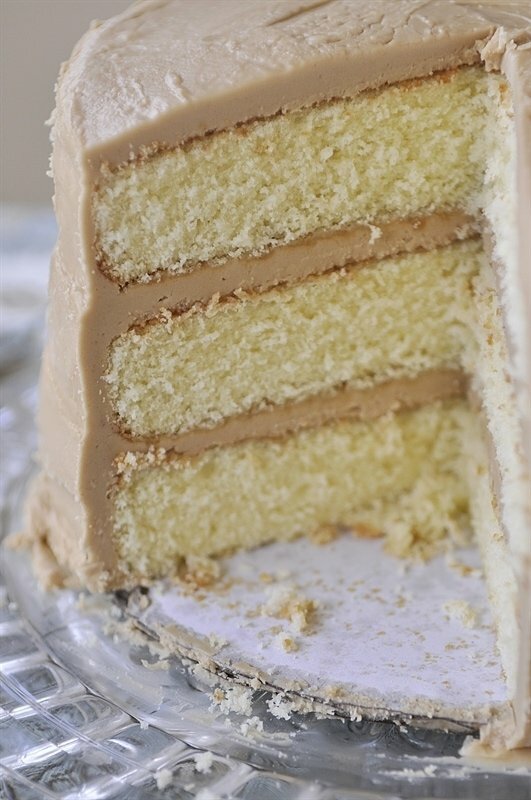 And the caramel frosting on this cake is the best. I love caramel cake and spent years on a quest for the perfect recipe. 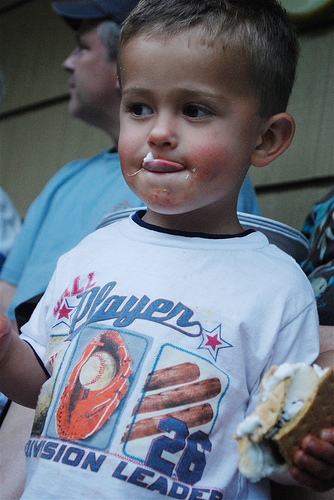 When my husband was a child, his favorite cake was a white cake with caramel frosting. 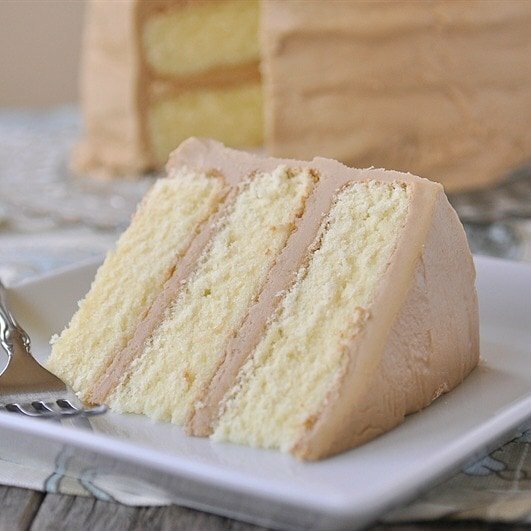 This caramel cake has the base of a nice, light, fluffy yellow cake, but the frosting is the star of the show. A caramel cake is really all about the frosting, but it definitely needs a good cake to let it shine. I’ve experimented with lots of from scratch cakes and I’ve finally found one that is everything a cake should be. Light, fluffy, tender, moist and flavorful. And it make the perfect base for this caramel cake. Bob Red Mill Super Fine Cake Flour is what gives the cake it’s amazing texture. Because cake flour has less protein than all purpose flour, it helps give the cake a lighter and more airy texture. It does make a difference and it’s worth the effort to buy and use cake flour. Must have items for frosting a cake. For this cake, I used 3- 8 inch cake pans. After baking and cooling, be sure and brush off as much of the crumbs on the outside of the cake as possible. It makes frosting easier. I love using this cake turn table to frost my cakes because it makes it so easy to turn the cake as you frost it. And the non slip mat keeps the cake in place. I also use a cardboard round underneath the cake so it is easy to remove from the turntable and place on my serving plate. And for frosting a cake, an offset spatula is a must. I am definitely not a professional cake decorator. It may not look perfect, but it tastes pretty perfect! I basically eat cake so I can have frosting and this caramel cake has a lot of frosting goodness. 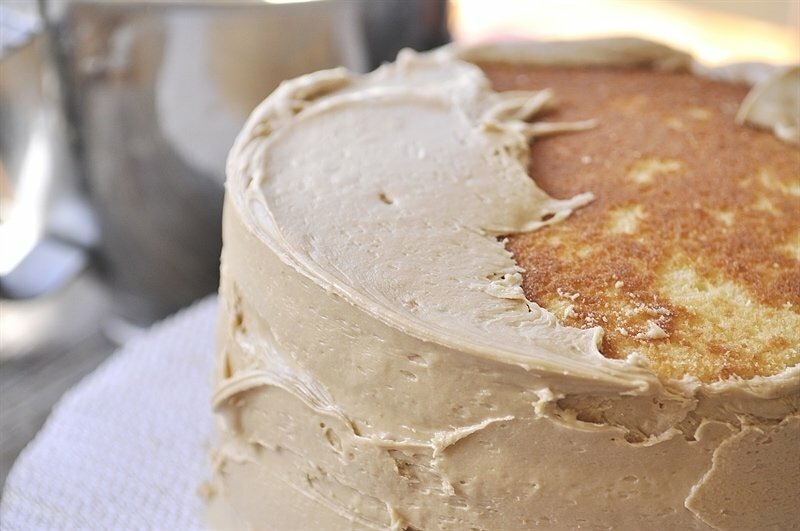 The caramel frosting is made with butter, butter and more butter. Just the way frosting should be. Also, it calls for dark brown sugar, evaporated milk, vanilla and powdered sugar. And unlike many caramel frostings, this one doesn’t need to be cooked for long periods of time. Just cook it in the microwave for a few minutes and then into the mixer it goes. 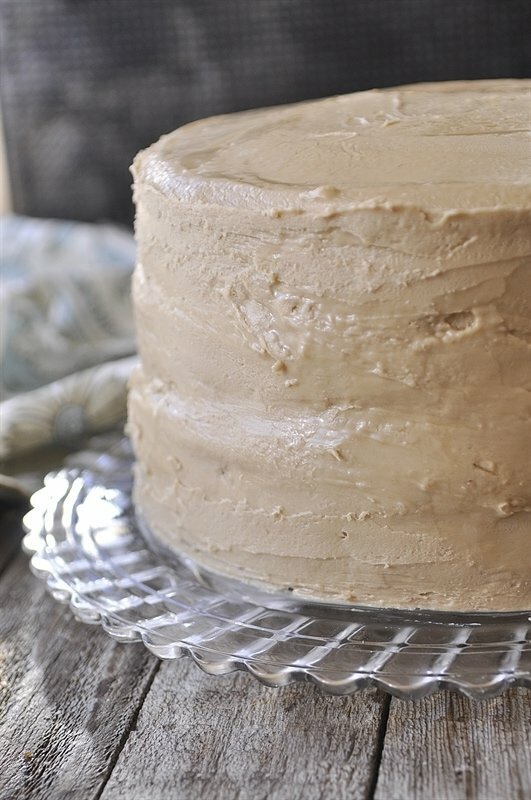 This recipe makes a generous amount of frosting, so don’t be stingy with those layers. 8 inch CAKE PAN – Works great for cakes but I also like putting dinner rolls in it. 6 PIECE MEASURING CUP SET – Everyone needs at least one set of measuring cups, I have 4 sets! 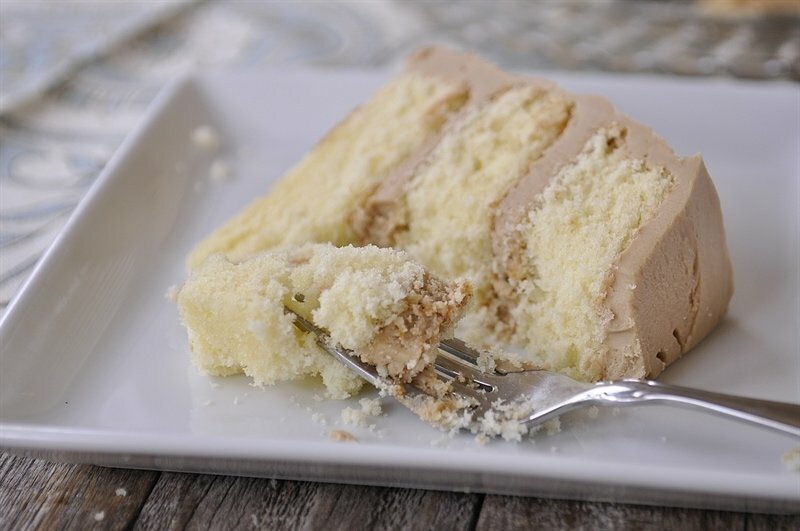 Soft, moist white cake with a decadent caramel frosting. 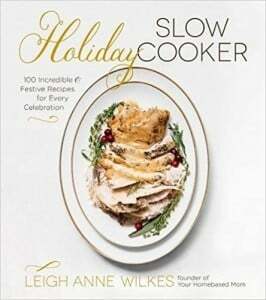 Place 1/2 cup butter, brown sugar and evaporated milk into a microwave safe bowl. Microwave for 1 minute, stir. Return to microwave and cook on high for 2-3 more minutes or until the mixture is smooth and no longer gritty. Can also be done in a saucepan on the stovetop. Heat until ingredients are combined and no longer gritty. 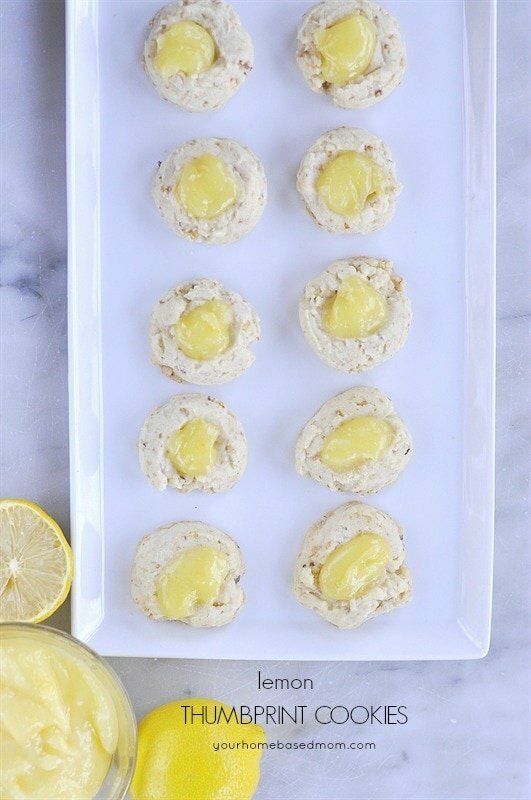 Add in 1/2 cup of softened butter and vanilla and mix on medium high for 3-4 minutes or until light and fluffy. Recipe may need to be adapted for high altitude baking -see this post. Recipe may need to be adapted for high altitude baking. See info here. I can’t wait to try this! Most of my friends shun frosting and make me feel weird for liking it. Such a beautiful cake; thank you so much! I’m with you girl – frosting over cake any day!! You are going to love this frosting. Caramel is one of my favorite cakes and yours looks delicious. 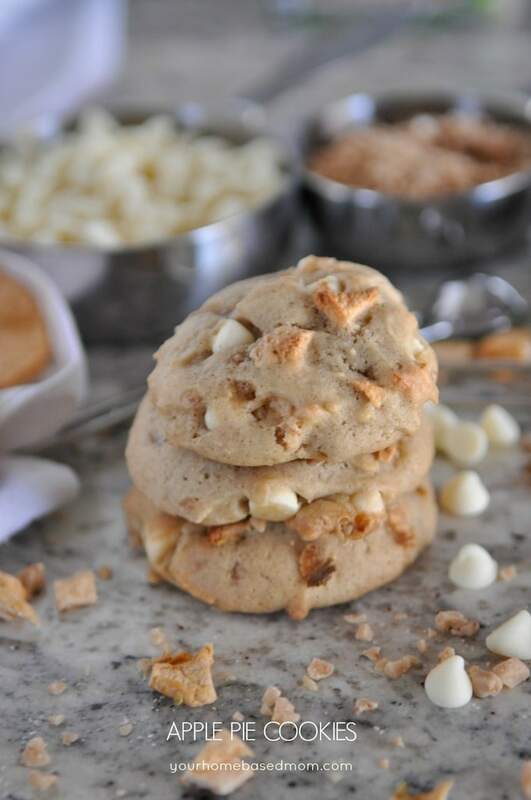 Looking forward to trying this recipe using Bob Red Mill’s cake flour. I’ve used their other products but I’ve never tried the cake flour. Thanks for sharing! I love all of Bob Red Mill’s products and this cake flour is great! 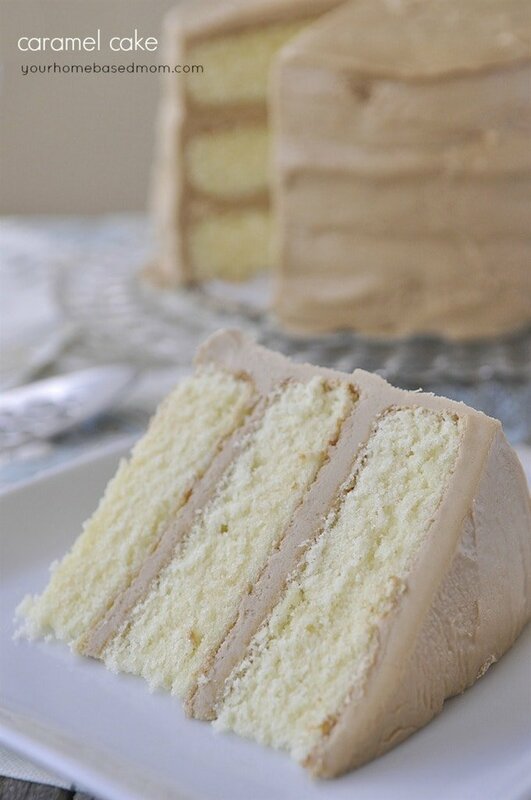 I love caramel cake as long as both the cake and the frosting are made from scratch in the home. The boxes and cans of chemicals you buy from your grocery do not even have real ingredients but are chemistry experiments with unproven chemical additives. Never eat chemicals produced in labs. Our life expectancy is no longer rising – but is falling fast because of big corporate artificial chemical foods. Wow, this looks amazing! I too grew up on a homemade Caramel Cake my mom would make. I haven’t had in many years. This looks very close to hers. I can’t wait to try it! 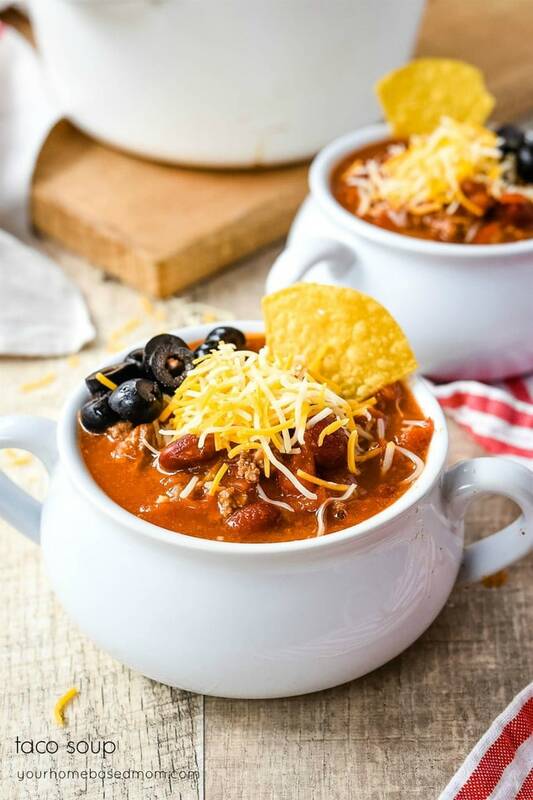 Thank You for sharing, my mouth is watering! Could you make this in a 9×13 pan instead? I want to make it for an upcoming camping trip! I sounds awesome! 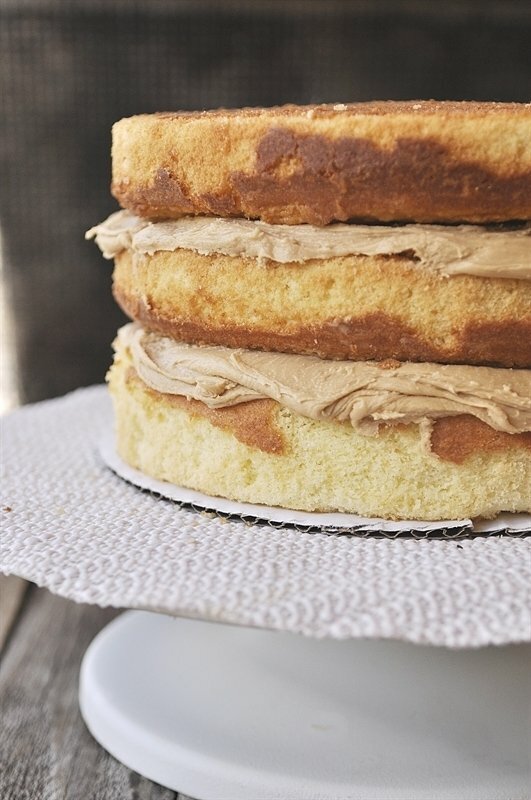 With this recipe the cake and the frosting were PERFECT! I am sorry to give a bad review, but it is honest. I am in Utah, so maybe your recipe does not work at high altitude? 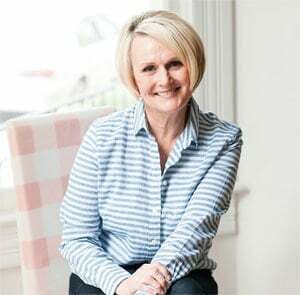 Gail, I am sorry the cake didn’t turn out for you. It worked beautifully here in Oregon and I am pretty sure the problem was you are baking at a high altitude. I bake at sea level. 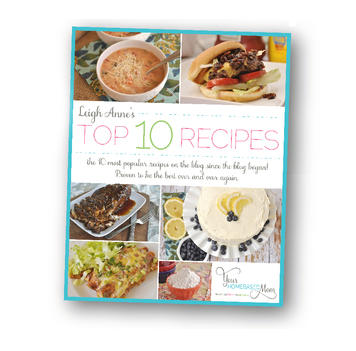 In the notes of the recipe there are some ways to adjust a recipe when baking at a high altitude. I always adjust recipes when I am visiting in Utah and baking at a high altitude. I just made it in 2 round pans, and used my leftovers for cupcakes, and it turned out so good in both! So sorry yours didn’t turn out well, but I think I have a new favorite vanilla cake recipe! So glad you loved it too!! Have you tried making these in cupcakes? How long would I bake them and would I need to change anything? Camber, I have only made it as a layer cake so not sure how it would translate to a cupcake. If you are in a higher altitude you might need to adjust the recipe. Cake looks so delicious!! Thanks for the suggestion of using Red Bob’s cake flour. I’m going to try it. Thanks for the awesome recipe!! It was amazing and the frosting is so good! Can this same recipe be used and made into cupcakes instead? Can I use a 13×9 pan instead of round cake pans? Melanie, I haven’t used a 9 x 13 but it should work, it may end up thicker so the baking time may need to be longer. Bake until a toothpick comes out clean. Just wanted to point out that your instructions don’t mention adding vanilla to the frosting, although it is listed under ingredients. At which point should the vanilla be added? I’m looking forward to trying this recipe! Thanks for sharing! Kim, Thanks for bringing that to my attention. I updated the recipe. Omg! Made this cake and shared it with family! What a beautiful cake, it’s a have again, amazing, were some of the comments! 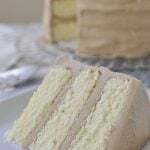 The vanilla cake was so moist and is now my go to cake recipe!